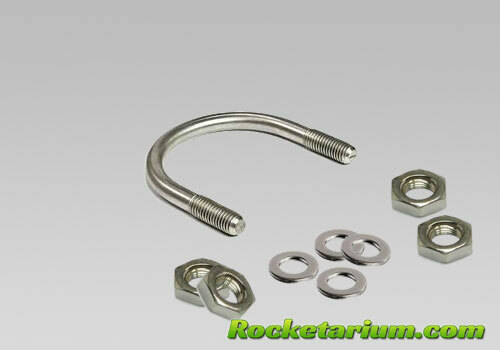 Use in larger high-power rockets to attach to a mounting plate in place of a screw eyes. U-bolt allows you to maximize the strength of your rocket. Dimensions: 5/16-18 threads x 1.0" thread length, I.D. 1.5". Includes 4 SS nuts and 4 SS washers. Ideal for bulkheads up to 3/8" thick.